Seventy-years ago today Russian troops liberated Auschwitz-Nazi Germany’s largest death camp where an estimated 1.1 million people – mostly Jewish perished. Fewer survivors of the Holocaust remain as each year passes. The task of documenting and reflecting on their war-time experiences-becomes even more important. With this in mind, I visited Auschwitz in December 2002. Located about 40 miles from Krakow in southern Poland, Oswiecim (Polish derivation) is most easily accessed by train and attracts hundreds of thousands of visitors to what is now a state-funded UNESCO world heritage site-each year. Most visitors are surprised to discover that Auschwitz is not one camp, but three, and once included a vast network of sub-camps. Upon entering Auschwitz I, originally designed to intern-rather than kill-those who opposed the regime-unsuspecting visitors walk through the camp’s main entrance underneath an iron gate bearing the now infamous slogan: “Arbeit Macht Frei” (German: Work will make you free). Inmates believed if they cooperated with the Nazis-their lives would be spared, but soon realized what was in store for them. 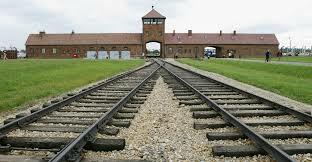 Auschwitz II, located more than a mile away from the main camp and more commonly known as Birkenau, was home to the majority of killings-largely due to an extensive network of gas chambers. Auschwitz III, also known as Monowitz, consisted mainly of slave-laborers who were forced to produce materials for the German war effort at a plant several miles away. Visitors familiar with Schindler’s List may recognize the extensive line of train tracks leading into the camp and watchtower directly above. Prisoners were herded inside Birkenau’s gas chambers-under the guise of taking a shower-took their last breaths-and were subsequently cremated in the camp’s ovens. Remnants of one of the four crematoria are still present. Walking through that snow-covered abyss-where so many lives were cut short-is an experience I will never forget. Seven decades after the Final Solution, tyranny is still present in many parts of the world-as are those who would attempt to rehabilitate and/or reintroduce atrocities that took place at Auschwitz. Former Iranian President Ahmadinejad’s thinly-veiled threats alluding to Israel’s destruction-not entirely absent from that country’s current leadership-are not only obvious examples of this-but must be taken at their word-and met with action-rather than naïve attempts to negotiate an end to the Islamic Republic’s nuclear ambitions. The same can be said for Russian aggression in Ukraine, attempts by the Castro brothers to suppress dissent in Cuba, North Korean attempts at nuclear blackmail, or savage killings by ISIL. Nazi atrocities remind us that appeasement leads to greater violence and bloodshed. Prime Minister Chamberlain’s decision to sign the Munich Pact with Hitler and FDR’s refusal to bomb the death camps-coupled with the President’s decision to keep America out of the war until after Pearl Harbor-may have been politically expedient-but indirectly contributed towards the slaughter of millions. It is not enough to remember the Holocaust; we must actively prevent its repetition. But that can only be done if we are willing to recognize evil and label it as such. Equally important, is confronting the deniers. Gen. Dwight Eisenhower was acutely of aware of this. Upon visiting Ohrdruf, a concentration camp in Germany-in the closing days of the war-Eisenhower-shocked by what he saw-made the following remarks-as documented by the United States Holocaust Memorial Museum. “I made the visit deliberately, in order to be in a position to give (first-hand) evidence of these things if ever, in the future, there develops a tendency to charge these allegations merely to propaganda,” said Eisenhower. Ike’s prediction that some would either deny or attempt to minimize the extent of Nazi atrocities came to fruition. And in the digital age, where thousands of websites provide uniformed readers with revisionist theories-it is incumbent upon all of us to remember those who perished.